Pritam Chakraborty opted Rowdy Rathore!. 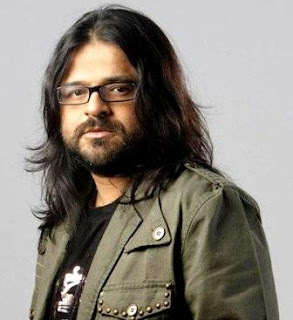 It is known that Music Director Pritam Chakraborty has roped in to Sanjay Leela Bhansali's "Rowdy Rathore".But the Pritam is loose the chance to compose tunes for Rowdy Rathore as the filmmaker is in urgent requirement of songs.Pritam Chakraborty said that he could not compose the songs in very short time. Pritam Chakraborty said "I am not very happy to leave a Sanjay Leela Bhansali film. That's a very drastic decision I had to take. Actually, he wanted the songs very urgently and I did not have time,"
Currently Pritam Chakraborty is busy big banner and top actors movies like "Players", "Dhoom 3", "Ek Tha Tiger", "Mausam", "Agent Vinod", "Barfee", "Once Upon A Time in Mumbaai 2" and "Golmaal 4". Adding further pritam says "Even if I get a very big film, I won't be able to do it... I will have to deny the offer because I am so pressurized with work that taking his job would be actually insulting him,"
Pritam also keeping in mind of the quality of composition of songs he is planning to cut down the films to six for a year.